Scammers Find Fertile Ground In Health Law : Shots - Health News Law enforcement agencies are reporting an increase in health insurance scams across the country. Many of the scammers seem to be preying on the public's confusion over the massive changes taking place in the nation's health care system. Confusion over the details of the new health care law is leaving many people vulnerable to con artists. Evelyne Lois Such, 86, was recently the target of an attempted scam. One recent morning, Evelyne Lois Such was sitting at her kitchen table in Denver when the phone rang. Such, who's 86, didn't recognize the phone number or the deep voice on the other end of the line. "He asked, 'Are you a senior?' and I said yes, and he said, 'Well, we are sending out all new Medicare cards, and I want to make sure I have all your statistics just correct,' " Such recalls. At first, the caller didn't seem too fishy. He started by running through her address and phone number, just to make sure they were right. But then he read off a series of numbers and asked if it was her bank routing number. "I didn't know really at the time whether it was or not, but I just said no," she says. The man pressed her for the number. "Well, could you give it to me so I'll have it correctly?" she recalls him saying. She hesitated, then hung up. When the scammer called her a second time, she hung up immediately, scribbled down the number from her caller ID and dialed Medicare to report him. "I kind of thought it was funny at first, and then I thought, you know, how dare they?" Such says. "There are some seniors who aren't well, and don't think as well as they used to, and it just made me angry that they would be victimized like that." Law enforcement agencies are reporting an increase in these sorts of health insurance scams across the country. Many of the fraudsters seem to be preying on the public's confusion over the massive changes taking place in the nation's health care system. Seniors are often targets — they're more likely to be home to answer the phone, and they tend to have retirement savings that scammers hope to tap. But they aren't the only victims: The federal government received nearly 83,000 complaints of these types of scams last year — up 12 percent from the year before. "America is rife with health scams," says James Quiggle, communications director at the Coalition Against Insurance Fraud in Washington, D.C. "Crooks are offering fake health coverage, stripped-down policies masquerading as real coverage. They're also selling what — they're lying — is fake Obamacare coverage," he explains. Recent polls have found that well over half of Americans say they still don't understand how the new health law will affect them. "Crooks are playing on that confusion. Confusion is a crook's best friend," says Quiggle. Fraudsters are as attuned to what's going on in the news as anybody else, says Lois Greisman, who runs the division of marketing practices at the Federal Trade Commission. "Before Katrina hit land, websites were up soliciting funds to help victims of Katrina. This is not a surprise; this is par for the course." A program as vast as the health care overhaul makes for a dangerous twist on the regular scams, she adds. Greisman and her team are working to take down health care scams as quickly as possible, but there are an endless number of them. Scammers range from just your average amateur looking to make a quick buck, to well-organized crime rings that mass-produce fraud. "The first line of defense is don't take a call from out of the blue from anyone who's offering to help you navigate the new health care market," cautions Greisman. "Those kinds of cold calls just shouldn't take place — same thing with an unsolicited email, an unsolicited text." Many people see through those sorts of simple scams, says Sally Hurme, an elder law attorney at AARP. "But even if one in a thousand falls for the scam and gives up info or agrees to send information off to who knows where, they've made [the scammer's] day. That's what their job is," says Hurme. As the Affordable Care Act ramps up, the country is likely to see more frequent insurance scams, and they're likely to get more sophisticated, she adds. 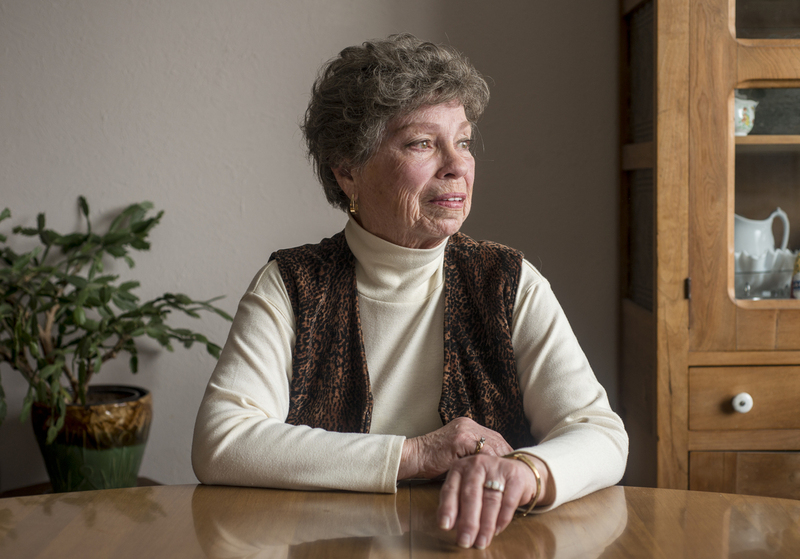 Savvy senior Evelyne Lois Such offers this advice for others who get a suspicious call: "Don't answer too quickly, think about the answer you give them and what they're asking." And never give any personal or financial information over the phone. Better yet? Just hang up.